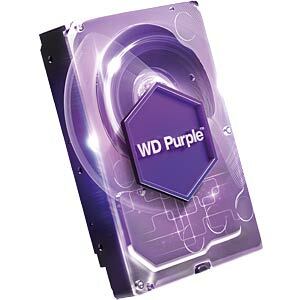 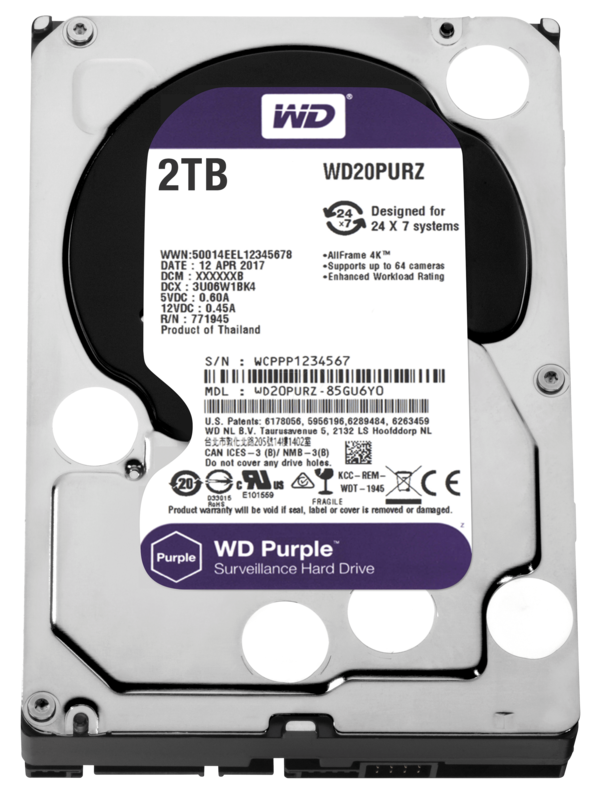 WD Purple drives are built for 24/7, always-on, high-definition security systems. 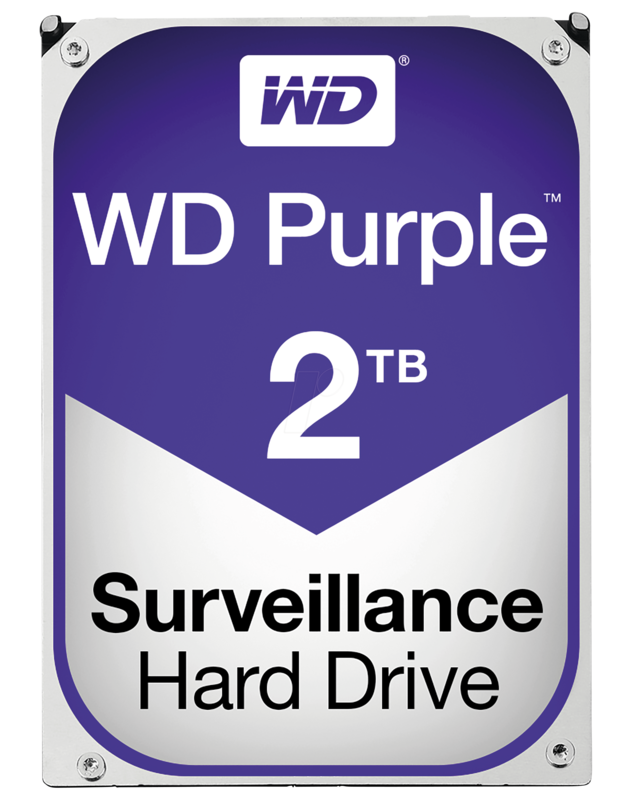 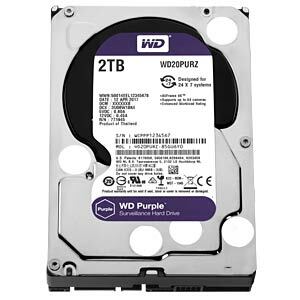 With a supported workload rate of up to 180 TB/yr and support for up to 64 cameras, WD Purple drives are optimized for surveillance systems. 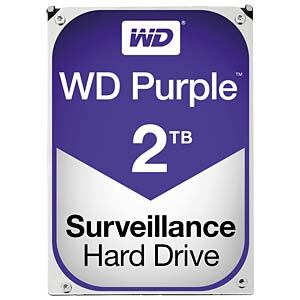 WD Purple surveillance storage also comes with WD's exclusive AllFrame 4K technology, so you can confidently create a security system tailored to the needs of your business. 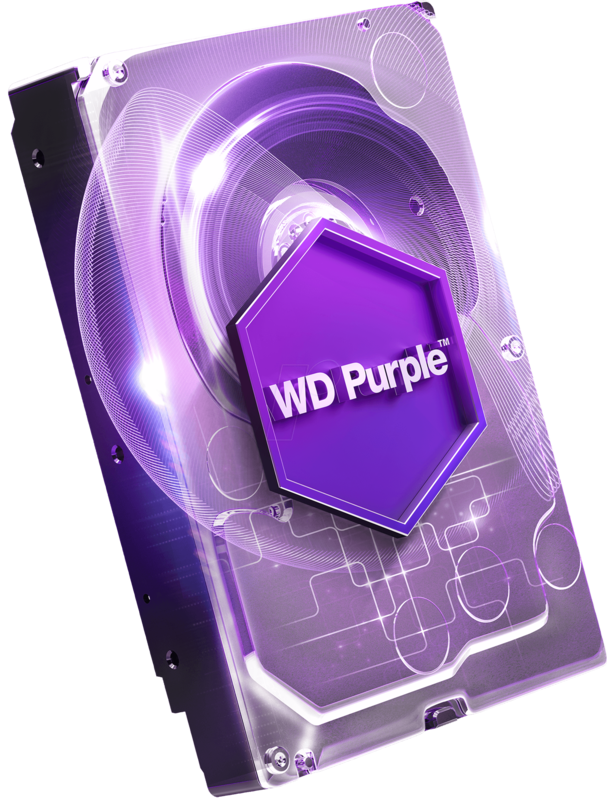 Using AllFrame 4K technology, WD Purple drives improve ATA streaming to help reduce errors, pixelation, and video interruptions that could happen in a video recorder system.